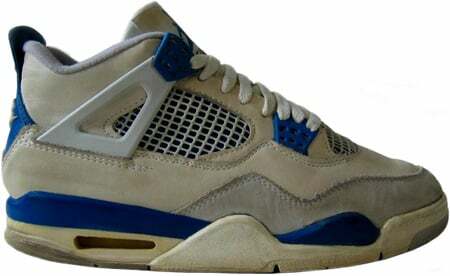 The Air Jordan 4 (IV) Original Off White – Military Blue released 1989, and was made into a must have fashion statement. Like many other Air Jordans, this pair received its nickname from the color-way, “Military”. When released, the Air Jordan 4 (IV) OG Military came with a black and cement box and a hangtag. 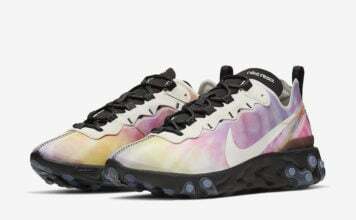 Many pairs have fractured line cracks, and yellowed due to age, but prices can exceed $800 for a pristine pair.